WHAT: Few of us heading out to City of Ten Thousand Buddhas, near Ukiah, on Monday, Apr 29th. If you'd like to join, please RSVP below. 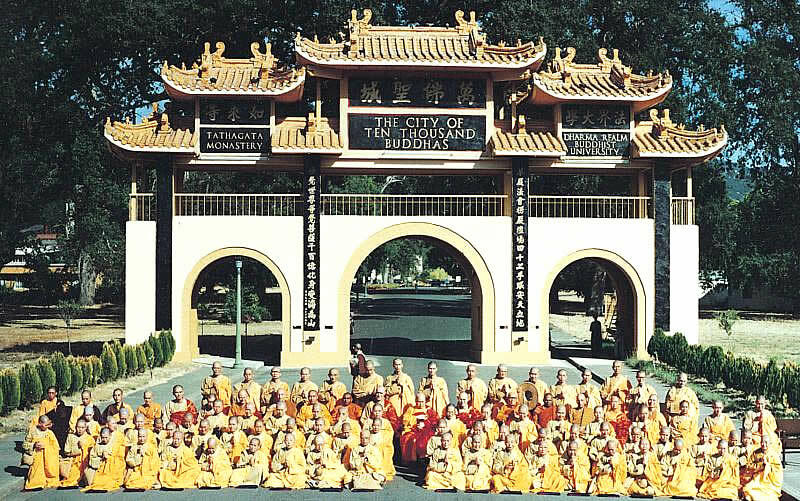 As context, City of Ten Thousand Buddhas was established by a remarkable monk named Master Hsuan Hua -- an actual city led by many monastics, where no life has been killed for the many decades and many sacred texts are preserved and translated. Lot of us know about this community through our inspired interactions with Rev. Heng Sure (and his 3-steps-and-bow pilgrimage that was connected to the founding of the city). For our trip, we intend to visit with K-12 students, have lunch with various elders (like Heng Chih, the most senior most nun, and scholar Ron Epstein), host a circle around business + values (anchor by Ray Yeh, former chairman of UT Austin's engineering school and author of Art of Business), and host a public dialogue with university students (hosted by Dean Dr. Martin Verhoeven) around translating ancient values into a modern context. All along, we'll naturally soak in the ambiance, hear some inspiring stories, and so much else that might emerge organically. Oh, and also lunch at the vegan restaurant -- where not only is the food sourced locally, but the volunteers pray while cooking the food! Among those joining will be Arun Bhatt, 86-year-old Gandian elder from India; Maria and Vasco visiting from Portugal (co-creator of Deep U retreats), Danny and Cherie (community organizers visiting from New Mexico), Coleman Fung (founder of the Fung Institute at UC Berkeley), Naren Kini (serial entrepreneur, and anchor of the global Heartfulness movement), Diane Chen (anchor behind the After Mindfulness conference), Nipun Mehta (founder of ServiceSpace), and several others. To join, RSVP below and we'll email you the carpool details as we get closer to the event.